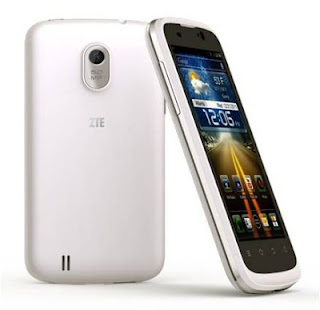 We first covered the ZTE Blade III in September last year, as you can see from that post a lot of things have changed here at TTF, but there hasn't been any change to the device which launched in Europe's Nordic countries late last year. On board you'll still have your 4 inch WVGA, that's 800×480p, a 1GHz Qualcomm MSM 7227 A processor, Android 4.0, a 5 MP rear-facing camera, 512MB of RAM, 4GB of expandable internal memory. All of this will along with the normal set of connections you would expect from a phone in 2013 and a solid 1600mAh battery, which should last relatively well. Now we know that the phone on it's own isn't exciting, but much like the OG Blade and the Blade 2 (Orange San Francisco and San Fran 2) before it the real story is the price. Surprisingly this phone won't currently be offered up by Orange, instead it'll find a home on Virgin Mobile, where it will retain the very reasonable price tags the predecessor championed! For those of you after the phone on Pay As You Go prices will start from £79.99, which seems very reasonable for a 4" Android smartphone. Contracts aren't quite as good value, the phone will cost you £18 per month, or £13 if you happen to be a Virgin Media subscriber (we all know how Virgin love their bundled discounts!). For the Pay As You Go price you can't really go wrong, but if you're looking at contracts and you're undecided then you might be tempted by Samsung's super-cheap Gaalxy Ace instead which is currently available on contracts which cost a mere £7.50 a month!